While in Singapore, my tour group took a side trip to the Singapore National Theatre. 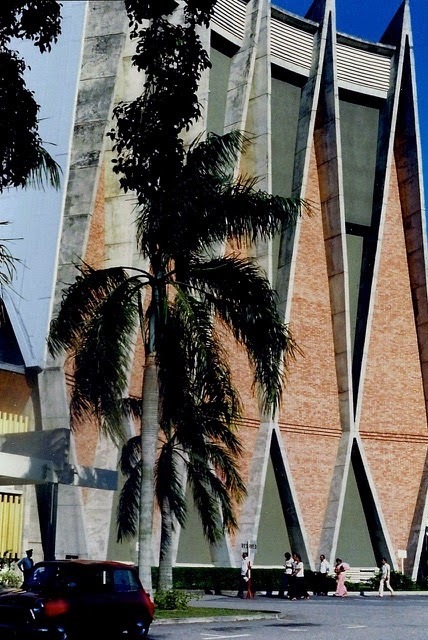 I was intrigued by the architecture, inside and outside. It was the "house" section of the theatre that was unique, as it had no side or rear walls. 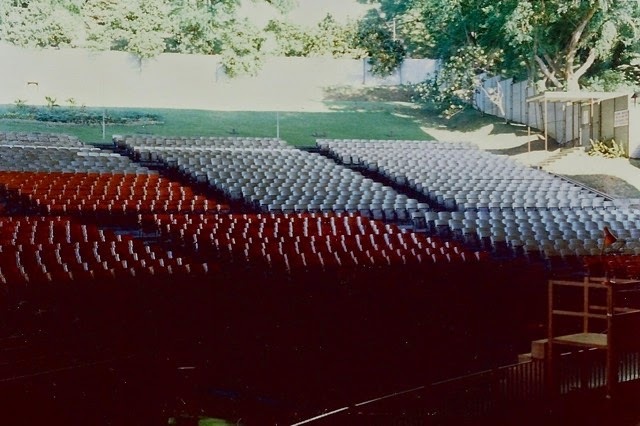 The theatre was capable of seating 3,420 people. 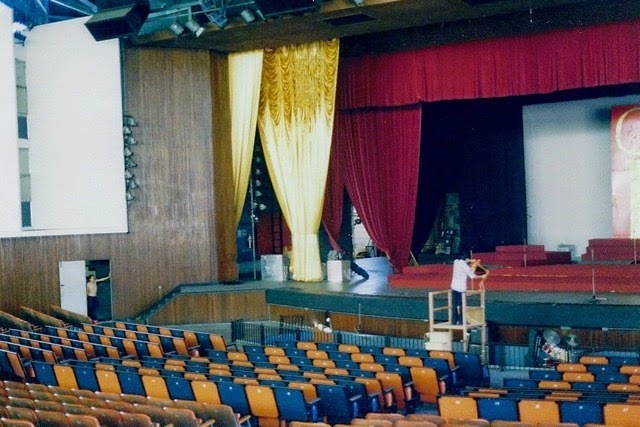 According to Wikipedia, the theatre was demolished in 1986 due to a structural defect. Have you ever seen a formal theatre with "open" seating? Over the weekend I had a "Block Party" and finished Marilyn's blocks and used some of my own scraps to bring the total up to 56 blocks. Now, they are ready to sew together into rows for another Quilt of Valor. Three cowls off the needles. . .
Patons Shetland Chunky Tweeds (Deep Red) 3 oz. 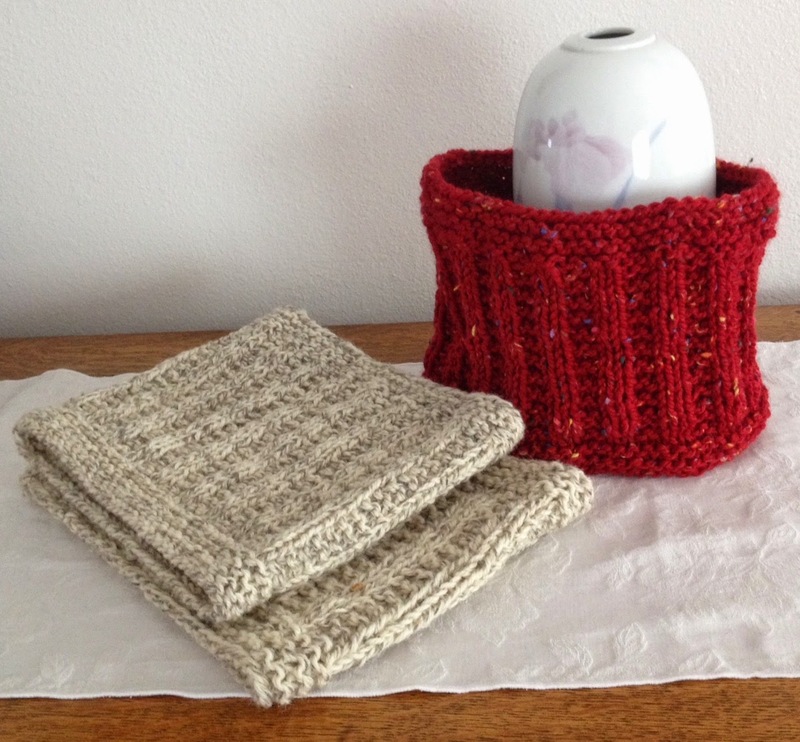 I love this pattern and have already cast on more Snow Day Cowls. I first posted about Kismet in June 2013. 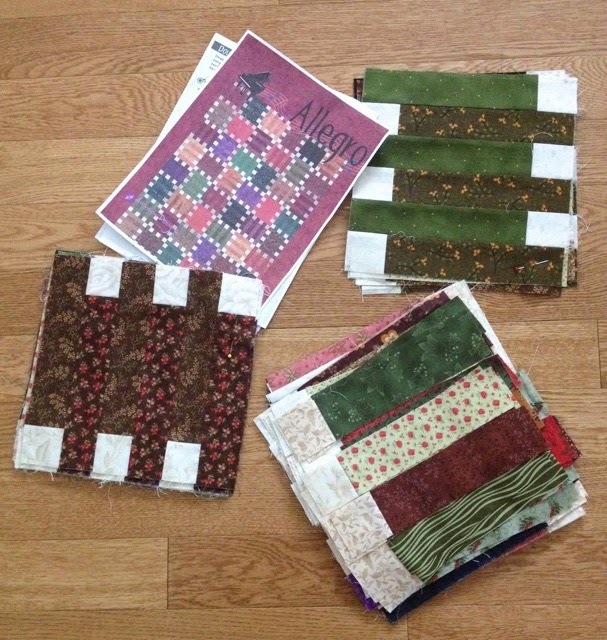 When I returned home from Denver last summer, the bag with the blocks and fabric were pushed aside, and I worked on other projects. Last week, I decided to get busy and finish the quilt. As shown in the photo, the top is finished. 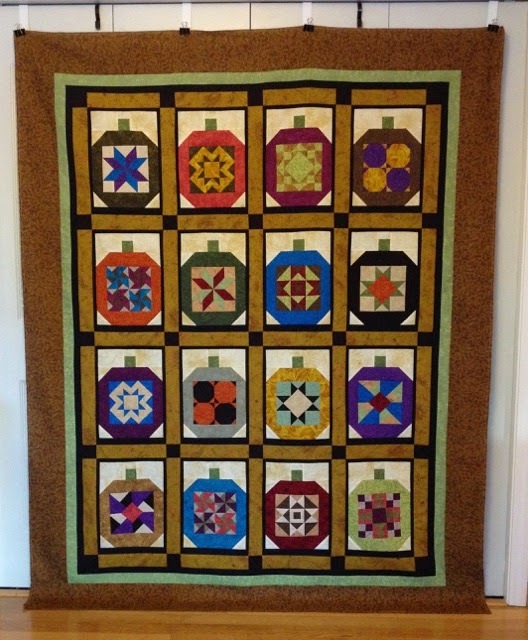 I usually hang the finished tops in my kitchen for a few days to "live with the quilt," and each time I glanced at this quilt, all the brown really bothered me. 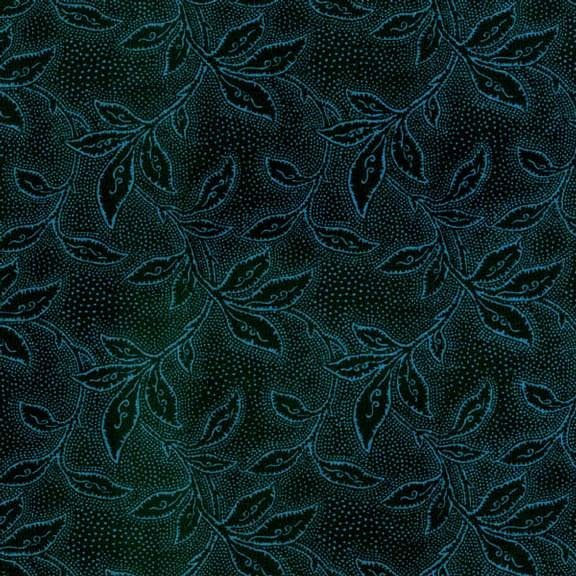 Saturday, I decided to order this black/turquoise fabric from the Jenny Beyer website. This fabric should complement the pumpkins more than the brown did. I'll post a photo after I receive the fabric. Hopefully, it will not take me another year to finish this quilt. Because I lived in the northern part of Honshu, Japan and the Bullet Train (Shinkansen) was only in the southern areas, I only travelled on it once in the two years I was in Japan. It was an amazing experience. 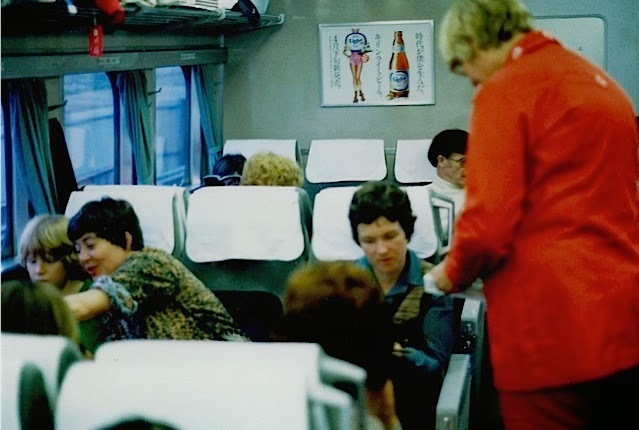 The train was comfortable and definitely fast, traveling 150 - 200 miles per hour. 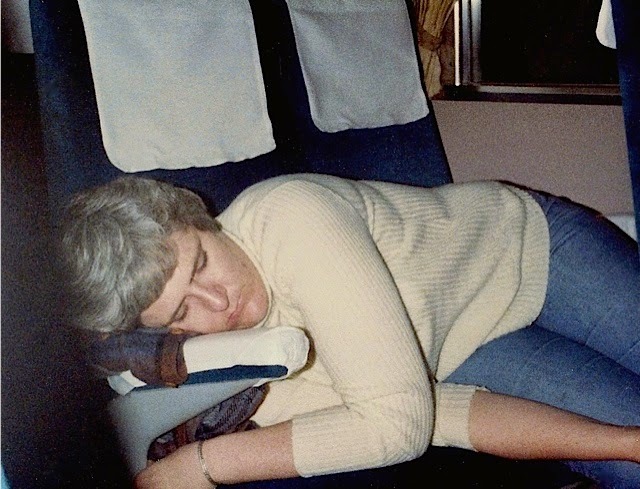 I even managed to sleep on the train as did nearly everyone in our tour group. 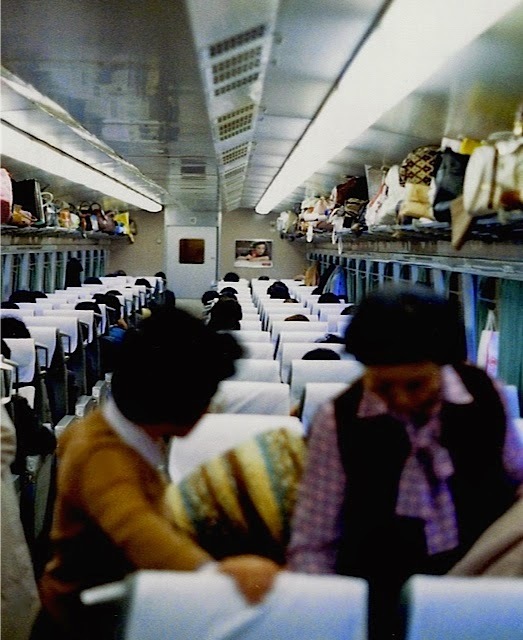 The seats flipped from front to back, so it was possible to always ride in the direction the train was moving or to arrange to face your friends for visiting. I often wish the United States would invest in wide-spread rail transportation again, but since Americans have become so dependent on vehicles, I wonder if it would be viable. The local Quilt of Valor (QOV) presentation was made last week, and ninety-six veterans received quilted hugs in honor of their service. I was delighted to see that Home of the Brave was selected by Marianne Lambert, who served in the United States Navy and is now a missionary in Kaoshuing, Taiwan. Marianne's smile made my day when I saw this photo featured on County 10. If you know of a veteran who would like a Quilt of Valor, one can be requested on the Quilt of Valor website. 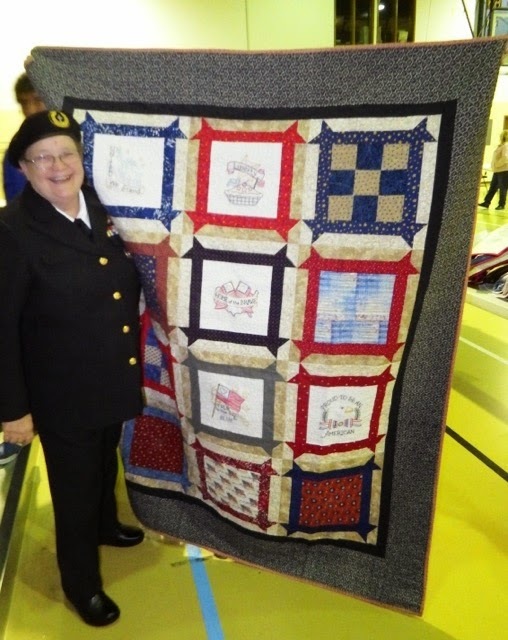 Quilt of Valor needs more volunteers to make quilts and to machine quilt them. None of those who work at the national or state level of Quilts of Valor are paid - it's an all volunteer effort. Please consider making some quilt blocks or a complete quilt top. 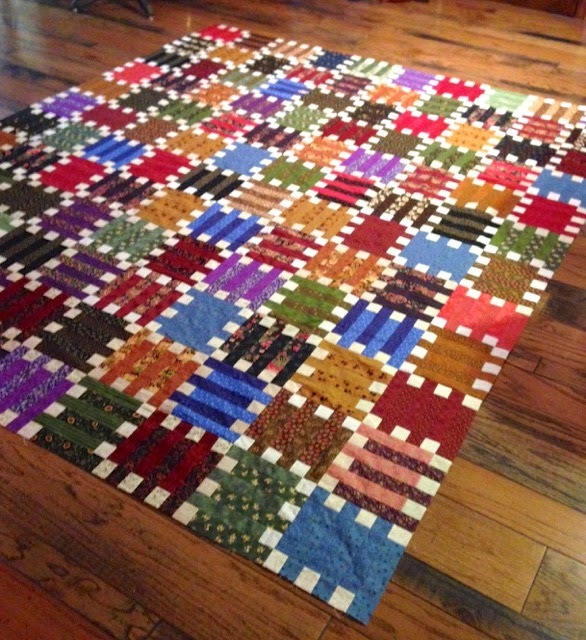 If you have a longarm quilting machine, please consider quilting one or two quilts a month for this effort. Let's make sure that every veteran receives a quilt hug for their selfless service. John S., Nils G., Jerry S., Rich S. and Nancy S.
This is the only photo that I can find of me and my three brothers. John, the oldest, was 20 years my senior, followed by Rich, and then Jerry. I do not have any memories of Jerry since he died when I was four years old. I vaguely remember when someone came to the house after the accident to inform my parents. 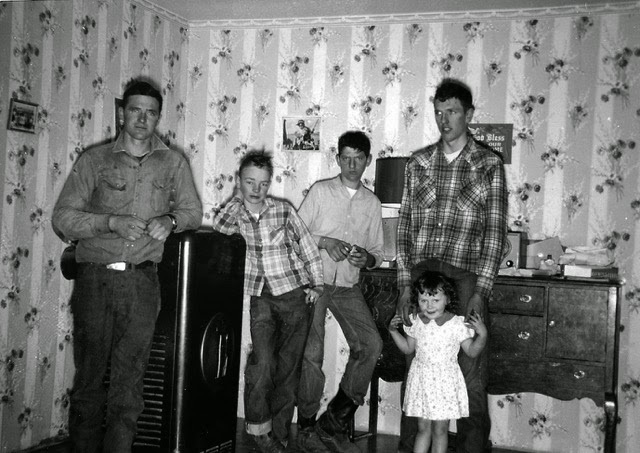 In October 1955, Jerry went to an FFA meeting or judging competition in Lander, and for some reason the group was transported in private vehicles rather than a school bus. On the way home, the car that Jerry was riding in missed a curve on the Ethete Road, and he was ejected. Nils (standing by the heater) lived on a neighboring farm and visited frequently. I am enjoying knitting this blanket as much as the first one, and I can guarantee that this will not be the last Simply Stripes blanket on my needles. 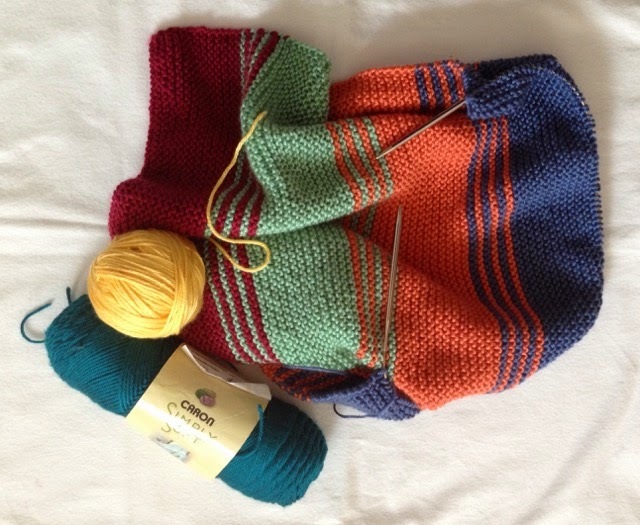 Some readers have asked how I match the stripes on self-striping yarn. The key is to find the point in the stripe sequence where you cast on. 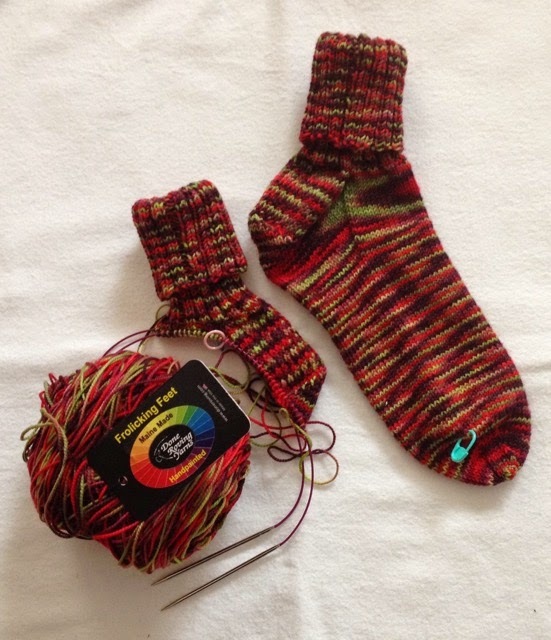 I always try to cast on where two colors meet so it is easier to find for the second sock. Note the small ball of yarn in the photo. This 1/2 ounce ball is what I had to remove in order to cast on for the second sock. I will use this yarn for another project. 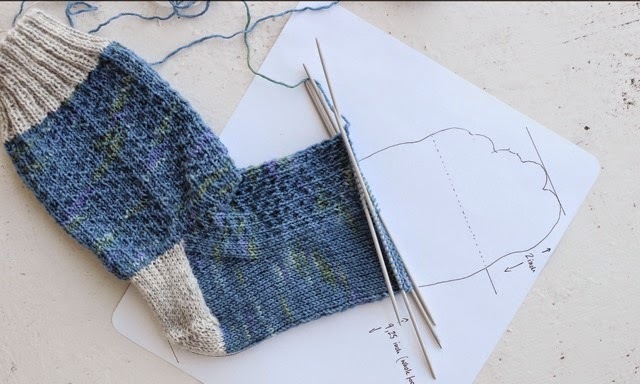 As noted in a previous post, I use the removable marker to indicate where I began the toe, so I can quickly measure the second sock. 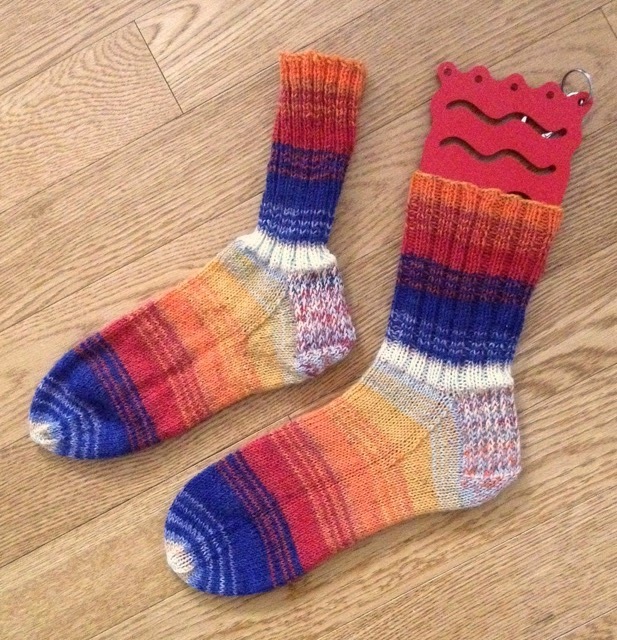 Do you have any tips for knitting matching socks? 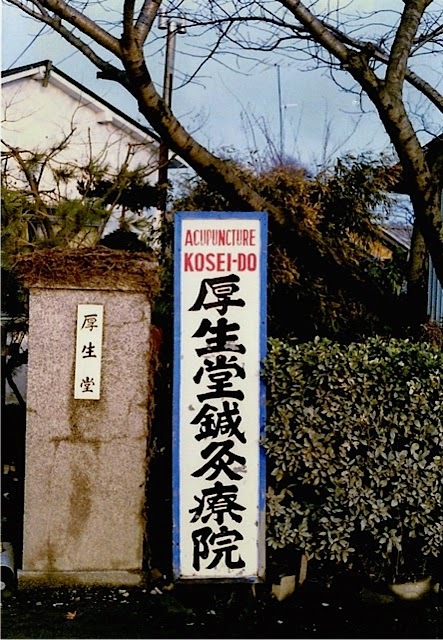 I didn't go to an acupuncturist in Japan, but their signs were everywhere. I found this image on Pinterest and thought it was a clever way to determine sock size. 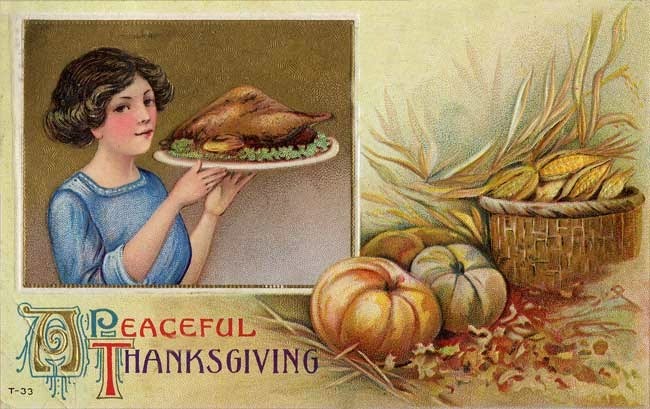 Obviously, the drawing is of the recipient's foot. The toe measurement (this shows 2 inches, but I allow for 2.5 inches) is drawn from the tip of the big toe. I purchased a variety of sock blockers (sizes Small - Extra Large) from Loopy Ewe several years ago so I could easily knit socks for others, but this method may be more accurate, especially for those with wide feet. When my parents bought the farm in the early 1940s it was a barren landscape, but they built a modest house (photo in this earlier post), planted trees, and put down roots. The farm was sold after my brother died in 1996. 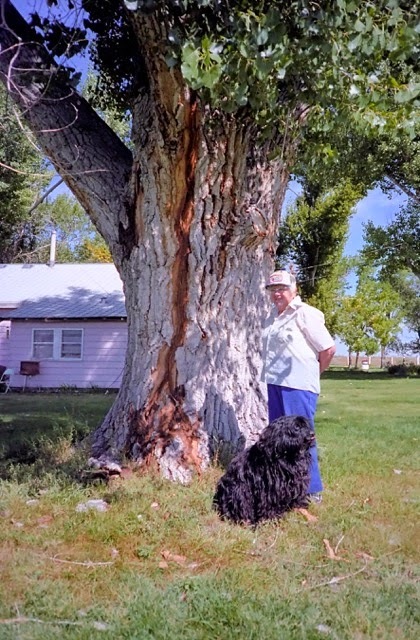 The tree in the photo was one of many cottonless cottonwoods planted around the farm house. Part of windbreak to the west of the house can be seen on the far right in the photo. That windbreak row plus another windbreak row to the north and an orchard protected the area around the house. 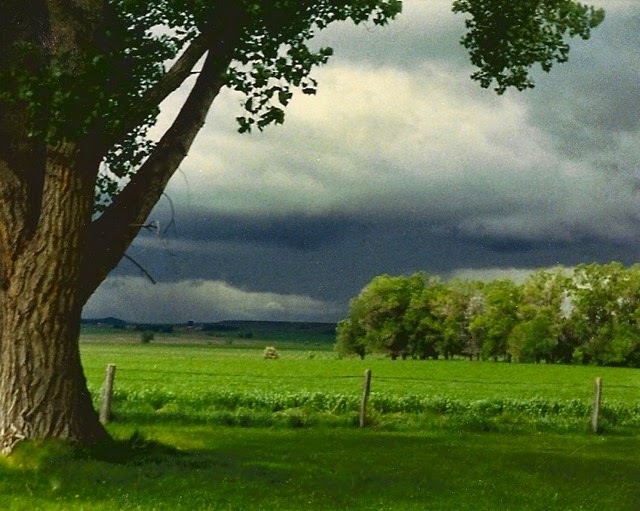 It was sometimes eerie how calm it was around the house when the wind was howling from the west. An aerial photo from the 1950s of the trees surrounding the house can be seen here. 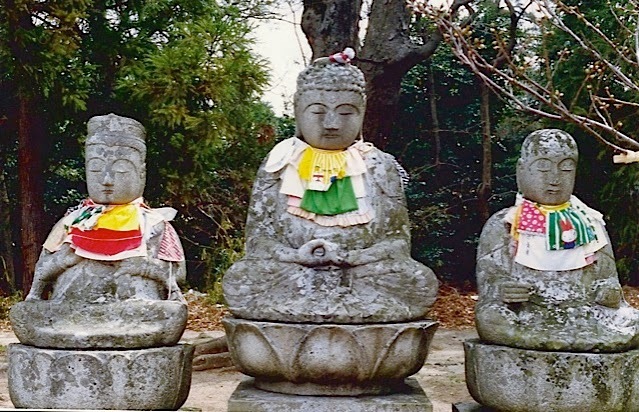 One afternoon in the 1980s, my mother was in the house when she heard an explosion. 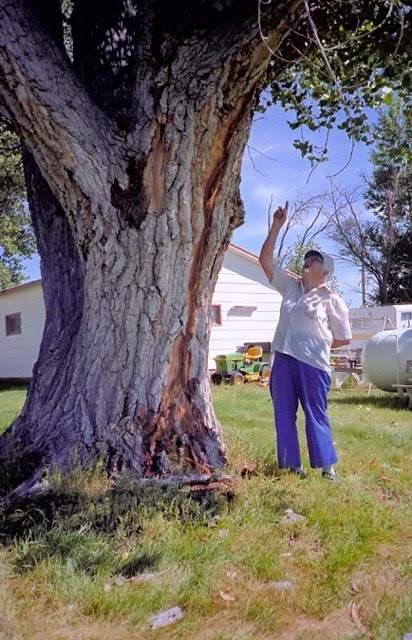 She thought that the propane tank by this tree had exploded, but the tree had taken a direct lighting hit. 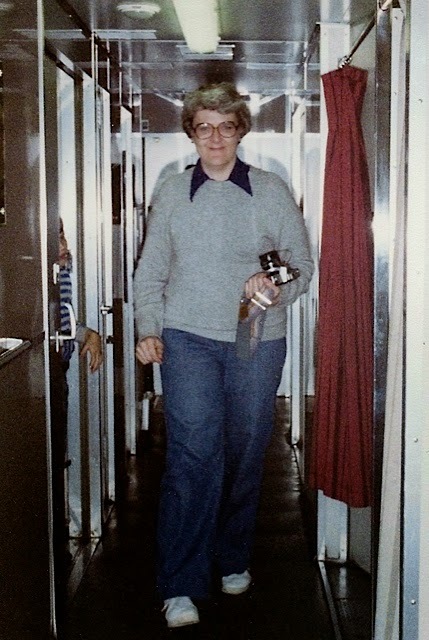 Note the propane tank directly behind my mother in this photo. The ground around the tree was littered with bark and limbs that Mom had picked up by the time I arrived with my camera. The gash in this tree was deep and thankfully it survived. 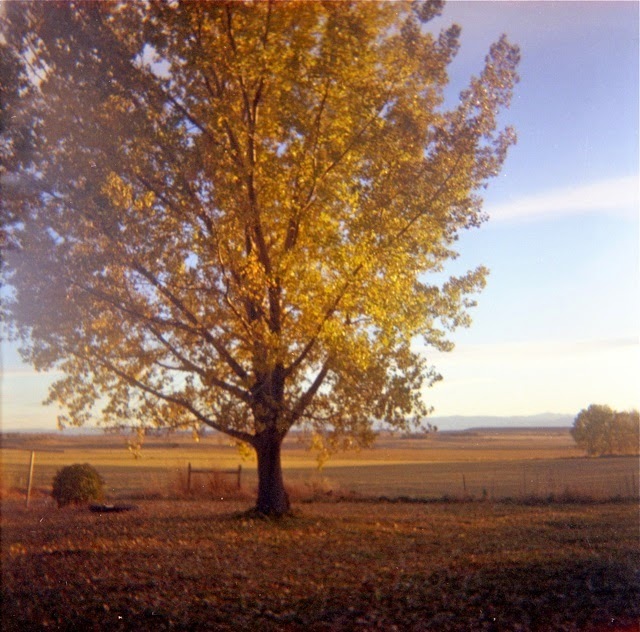 I loved taking photos of this tree since it framed the view to the south of the house. This photo was posted earlier here. The new owners put their own mark on the farmstead, but the roots that my parents planted are still there even if the trees are gone. With my parents' blessing, my oldest brother John enlisted in the Army before he graduated from high school. In the Army, John learned how to weld, and next to mechanics, welding was his passion and his vocation. An earlier post about John's welding can be seen here and here. 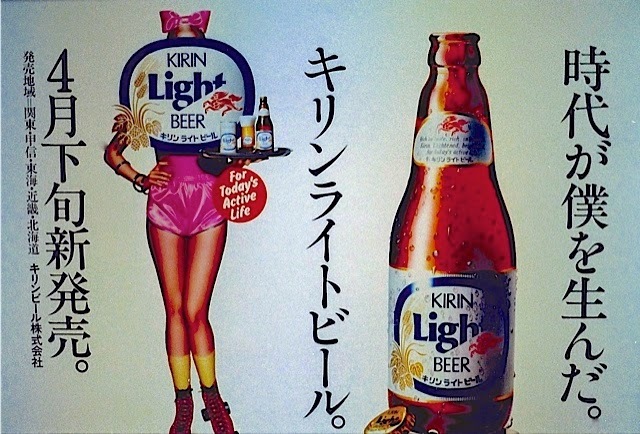 John was stationed in Japan during the Korea War. 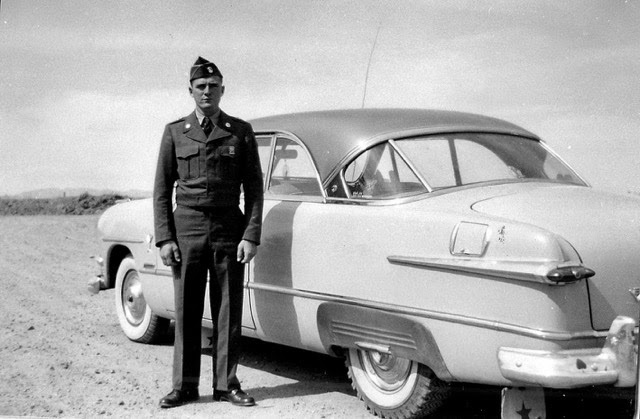 John's military stint ended early when our brother Jerry was killed in a car accident October 1955. I was told that my parents requested a hardship discharge for John, which is probably true since he returned home early in 1956. 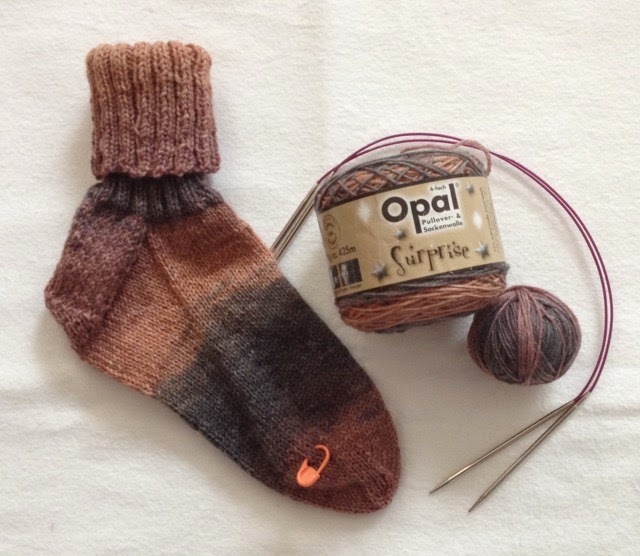 The removable marker allows me to quickly check when to begin the toe on the second sock. I am going to love wearing this festive pair of socks. Thank you, Cheryl (aka Lyle) for giving me this gorgeous yarn! I displayed one on a sock blocker to fully show the striping effect. I had a blast knitting these socks. 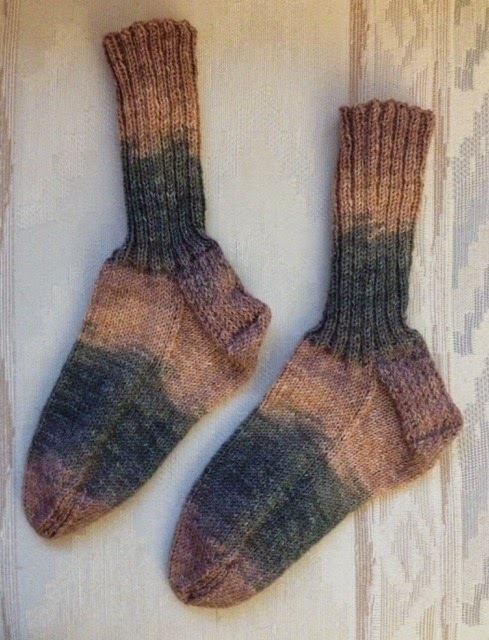 To create matching socks, I found the correct color repeat and cast on from that point. Earlier posts can be seen here. I had intended to use the reinforcement yarn for the toes, too, but I forgot and then didn't want to frog them back. This pair is in my sock drawer - I just had to keep them for myself. Thank you, Ellen for this gorgeous yarn. The quilt photo was sent by my sister in text a couple of weeks ago, and I asked if she would share the pattern. 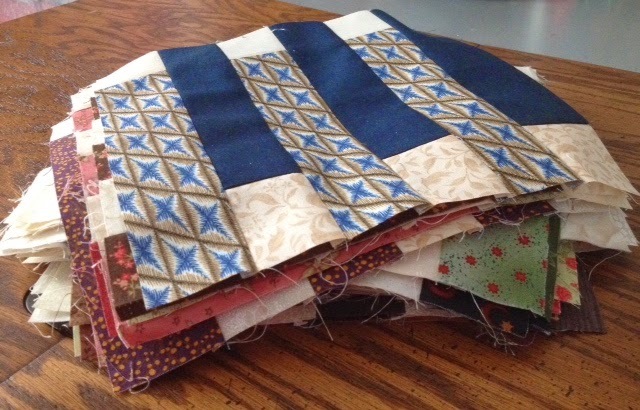 I thought it would make a fabulous Quilt of Valor and use a lot of scraps. A package from Marilyn arrived last week, but it included more than the pattern. . . Can you believe that she sent extra blocks and fabric. 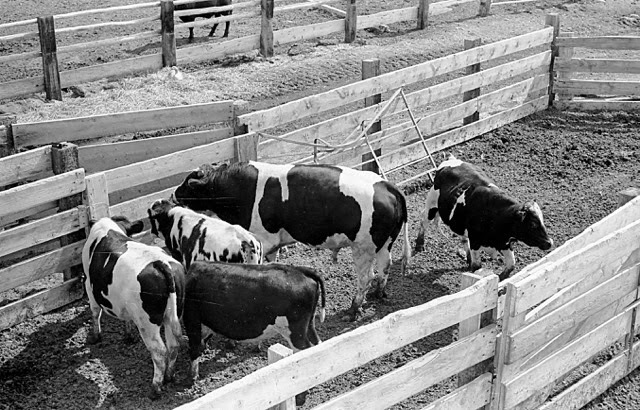 Bruce M., Grandma Rosie, Dwight M.
I wrote briefly about the Holstein bull(s) that were kept in the corral with the dairy herd in this post. 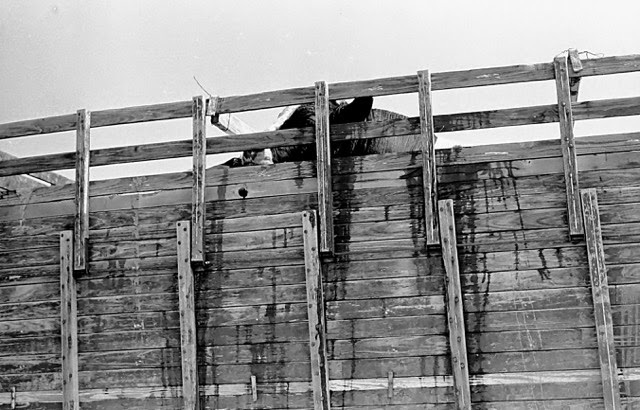 Everyone who worked around the cows in the corral had a healthy respect for the bull and kept a wary eye out for him. My mother sometimes carried a stick with her when she gathered the cows into the holding pen. 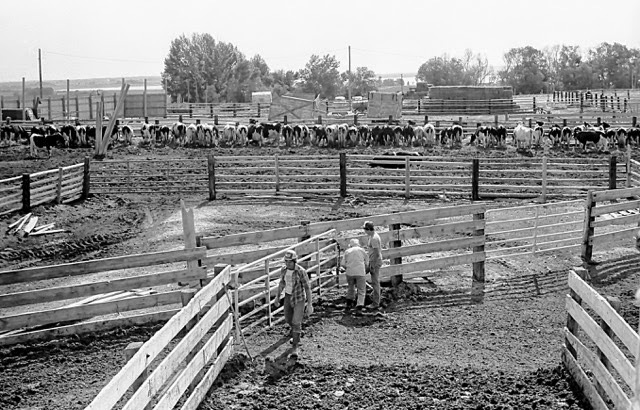 The photo above was taken from the loft of the barn and shows the cows in the east corral, eating hay or silage after the morning milking. 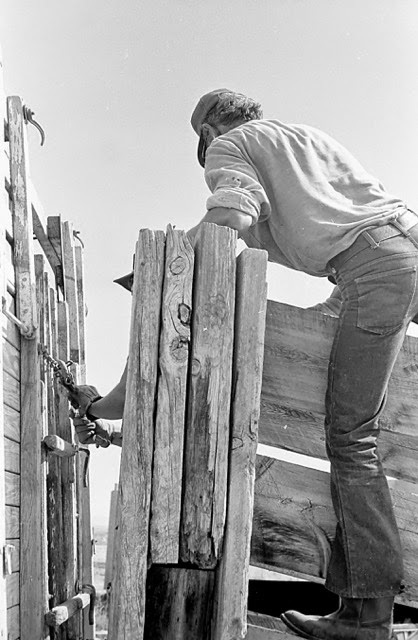 My nephews and mother are securing the gate of the holding pen because on that day, the bull and several young bulls were being shipped to the sale barn. Note the twisted metal panel/gate in this photo. One guess who did that damage. 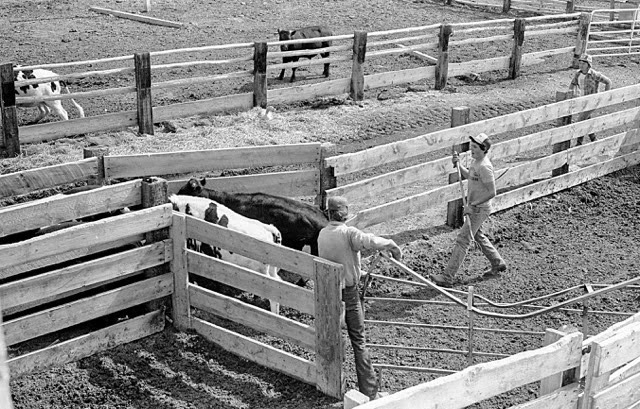 The loading chute was on the north side of the barn, and here my nephew Dwight is hazing the cattle into the lane that leads to the chute where a truck was waiting as my brother Rich is preparing to close the gate to the lane. Nephew, Bruce is approaching from the far right to climb up and close the tail gate on the truck. Everyone was glad to see this guy headed down the road to the sale barn!